Paddling Groups – Paddling, Techniques and Fun. 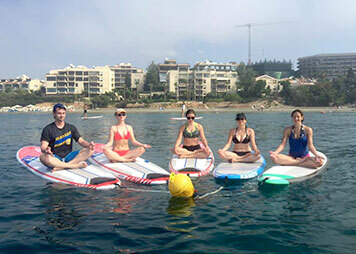 Our paddling groups are the best way to practice paddle techniques, meet new people, talk and laugh with others, jump to the water and even stop for a coffee break on the board. 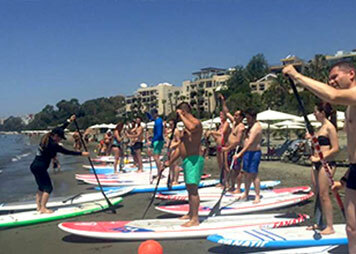 It’s challenging, it’s fun, relaxing and suitable for trainees with basic SUP skills, trainees who have completed our beginners lessons and for advanced. 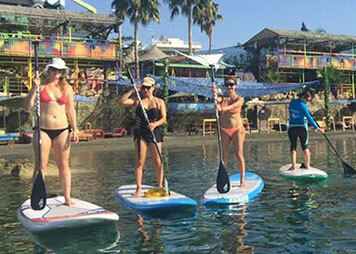 Join us for 75-90 minutes flat water paddling, along Limassol beautiful beaches.